In The Netherlands it is quite common for one person to own at least two bicycles. The first one is the every day upright, city bicycle. Usually old and rusty, sometimes even squeaking; also sometimes called the beater bike. This is the bicycle you use for short rides to places where there is no secure bike storage. You use it all year long, even in the rain and snow and do as little maintenance on it as possible. If the bicycle gets stolen it's easy to replace. And then there is the "good" bicycle. The one that you use in weekends, when the weather is nice, or when your regular bike has a flat tire and you are late for work. Thes bicycles are usually newer, a little bit (or a lot) more sporty and kept inside most of the year. Many of them eventually end up as beater bikes after a decade or so. 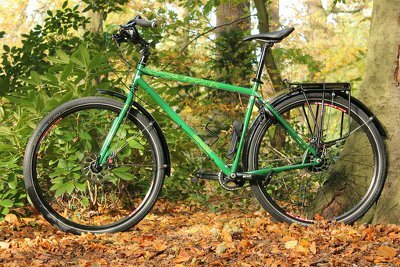 My "good bicycle" is modified Genesis Fortitude Adventure, which was a rigid 29er mountain bike and I converted into something more suited for long distance touring on pavement. Since my girlfriend has to come along too I got one for her as well. The story of how I ended up with my bicycle. Pictures of bicycles that inspired me with my modifications. After collecting pictures of fully packed bicycles, and other bikes built with the same frame I ordered the parts for my 20.5" bicycle. Based on the experiences I then ordered the parts for my girlfriend's 19" bicycle. 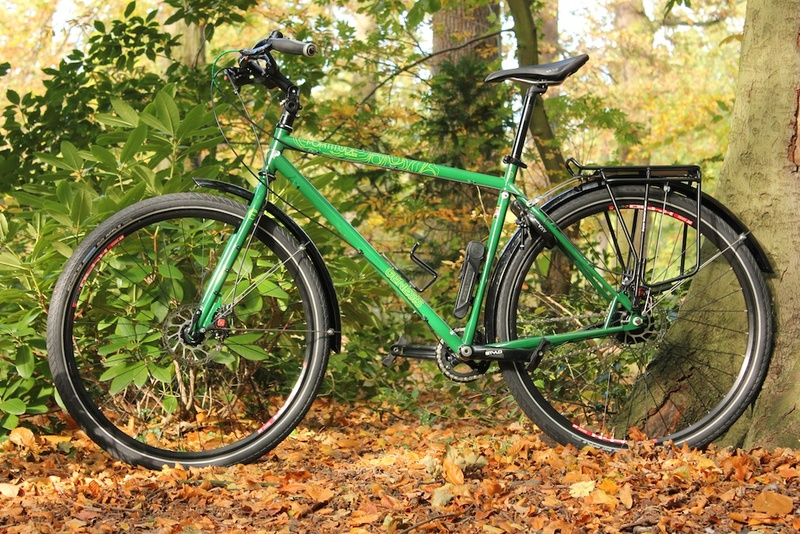 Her bicycle ended up with slightly lighter and narrower tires and mudguards, platform pedals without SPD, a wider handlebar with a little bit more backsweep with different grips and a shorter stem. Customized Genesis Fortitude Adventure bicycle with 19" frame. 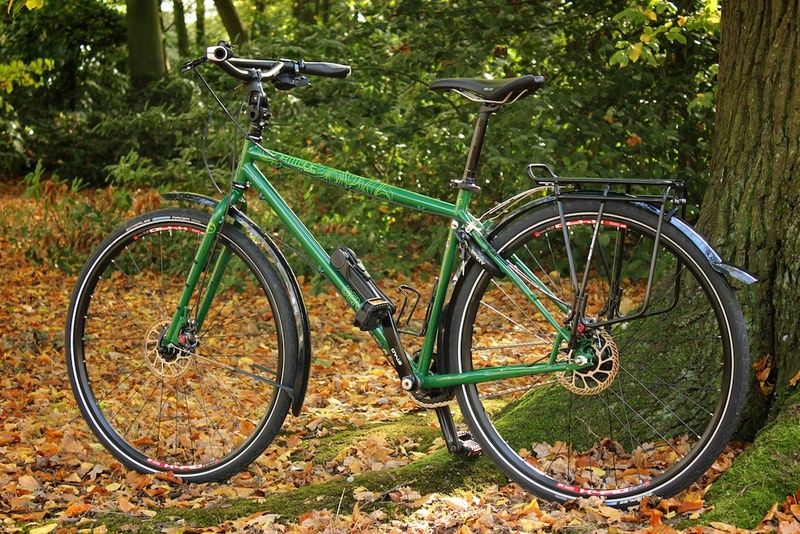 Customized Genesis Fortitude Adventure bicycle with 20.5" frame.